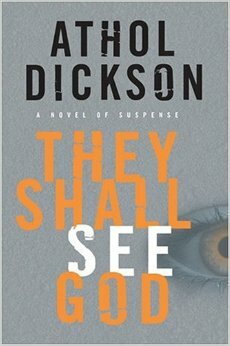 This book reads like a cross between a novel by Michael Crichton and the tv series “X-Files”. It mixes together unexplained phenomena and traditional science. Enigmologist Jeremy Logan is called out to a scientific research facility (Lux) which is located in a century-old mansion. One of the senior scientists has just committed suicide in a particularly gruesome manner. It was an act quite contrary to his nature. Jeremy is tasked with investigating the suicide as well as the strange behavior by some of the other scientists there. As Jeremy examines the area of the building where the suicide occurred, he discovers a hidden room. He becomes obsessed with the mysterious room and its connection to the case. The book was part mystery, part creepiness, part history, part suspense. But in the end all the questions are answered, and even a person not terribly knowledgable about science can understand what happened. 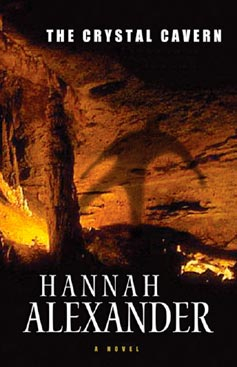 Initially I did not realize that “The Forgotten Room” was book four in a series. But I read it anyway, and didn’t have any trouble understanding the plot. It can be read as a stand-alone novel. This is another good read by Lincoln Child. It’s hard to put this novel into a category. It could be called a medical story. It could be a mystery. There’s a military aspect. It definitely has suspense. There are hints that there could be some paranormal activity. Together, all of these elements made for a fast-paced story that was hard to put down. Retired Naval doctor Peter Crane is asked to make a medical diagnosis of what is afflicting the workers on an oil rig in the Atlantic Ocean near Greenland. When he arrives, he finds that it is not really an oil rig, but something totally different, something that is top-secret. By this point, Peter really wishes he had never agreed to come. He is being tracked everywhere that he goes, and has no way to leave. It will take every bit of his wits and ability to survive this assignment. If you’re in the mood for a good who-dunnit mystery, this is an excellent choice. Sable Chamberlain, a small-town doctor, and a paramedic, Paul Murphy, are looking into the recent death of her grandfather. While they are trying to find out what happened, they are framed for his murder and end up fleeing town on a cross-country bus. An ice-storm hits, and Jerri, the bus driver, struggles to keep the vehicle on the road. Conditions worsen, and they can’t keep going. Fortunately, they are within walking distance of Sable’s childhood home, so the seven people aboard abandon the bus and hike to the house. There they discover that Craig, a longtime neighbor, is taking care of the house. The electricity is out, but there is a wood-burning stove for heat and cooking. This is no ordinary house. The basement has an entrance to underground caves with stalactites and stalagmites. Sable and Craig have explored the caves as children, and know them like the back of their hands. The rest of the group see the caves as dangerous. They are trapped in the country house for days as they wait out the storm. Weird things start happening, and it becomes obvious that one of them is a killer – but who is it? Note: This book was later re-printed under the title “Hidden Motive” . Lenore Featherjohn runs a bed and breakfast place in the small town of Fog Point. 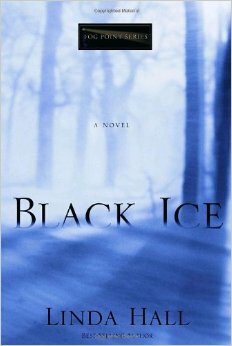 In the middle of a snowy, icy winter, she discovers a teenage girl dead by her back door. She is afraid the police will blame one of her grown sons, so she moves the body. Lenore isn’t the only one in town trying to cover up something. An elderly man with Alzheimer’s has helped keep a secret for years. A minister’s wife pretends to have faith, while secretly doubting the existence of God. An adopted girl is quietly searching for her birth mother. Two news reporters are lying about who they are. There is deception from one end of town to the other end! I loved the variety of characters the author created for this mystery. At first they all seem unrelated, but as the story progresses, you can see how everyone’s coverups are woven together like a spider web. Everyone is wearing a mask, projecting the illusion that they have their life together. Little by little, the truth is revealed, and more than one mystery solved. This is a fine novel that moves along at a good pace, and keeps the reader’s attention from the first page to the last. One little girl was a Jew, the other little girl a Christian. They played together, laughed together, and considered themselves to be sisters. Then came the day they were witnesses to a terrible crime. Their friendship was never quite the same. The book began with Kate and Ruth as adults, one having gone into the ministry and the other raising a family and running an antique shop. Each of them thought the other walked away from the friendship, so when they met again, they both had chips on their shoulders. But they put aside their differences because of a common fear: the man they testified against in court as children had been released from prison. The story did seem a bit disjointed at first as it jumped around between about half a dozen characters. But as it progressed, the pieces began to fit together. The book is about getting along with people of different religious beliefs, working to put a friendship back together, and finding out the truth about a crime, no matter how much time has gone by. 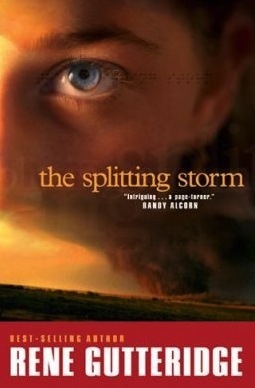 “The Splitting Storm” follows the prequel “The Gathering Storm”. The novel begins with Mick Kline, FBI special agent, trying to determine who killed his brother Aaron. There doesn’t seem to be any motive for the murder, and there are no leads in the case. But Mick is not a man to sit back and wait for someone else to solve the case. I enjoyed the psychological aspect to this novel. The mind is an infinitely complex organ, one that can be used for brilliance or for great harm. The story reminded me that while we can try to guess what’s going on inside someone’s head, only God truly sees the pain each person has been through, and what thoughts are in their mind. Mick’s jaw tightened at the thought. Guilt for simply being alive beckoned him into deeper sorrow. Aaron had always been the good son. The son of integrity. The man whom everyone looked up to. Including Mick, through it took years for Mick to admit it. Mick owed so much to his brother, and now the most he could do for him was find out who took his life. It would do nothing but provide justice, which was obsolete to a man who no longer breathed. 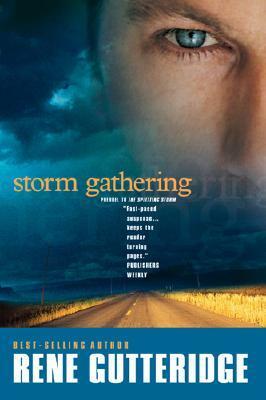 “Storm Gathering” is a tale of two brothers, Mick and Aaron. All his life Mick has thought of Aaron as the “good” brother, the one with a successful career in the local police force, the one who married the woman he wanted. Mick sees himself as the “bad” brother”, the one who came back from Vietnam with nightmares and a drinking problem. Aaron is a man of faith, but Mick is angry with the Almighty for the way his life turned out. One evening Mick finds a young woman – Taylor – that he really feels comfortable talking with. He goes home with her, and wakes up to find himself lying on the floor and Taylor missing. It isn’t long before he is accused of kidnapping her. Mick will do anything to prove his total innocence, including conducting his own investigation and becoming a fugitive. Fortunately, Mick has God and a cop named Shep looking out for him.